All SURFACE PLD systems are highly automated to control the whole deposition process. This ensures easy operation of the system. 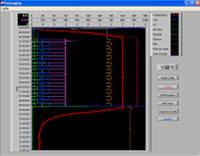 The PlumeMaster software is based on the proven Windows XP Professional operating system. 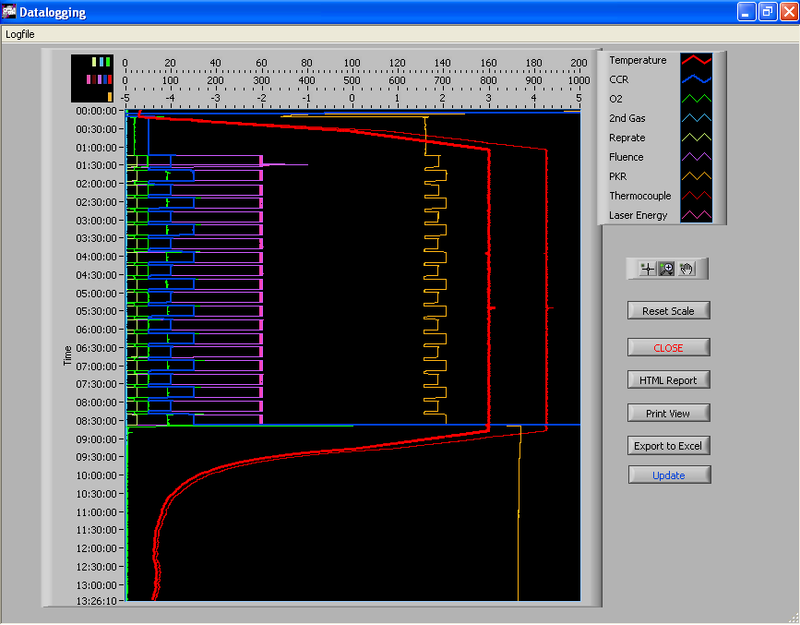 It is optimized for PLD system control and offers advanced deposition features. 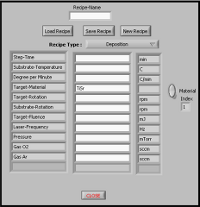 Each process basically represents a list of deposition or annealing recipes. These recipes are easily defined in an easy-to-use dialog. 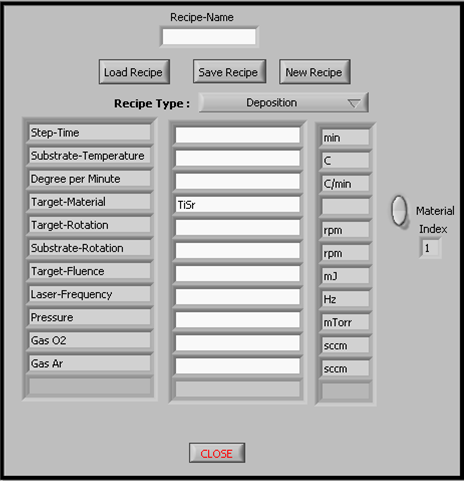 Recipes can be reused, the right target material will be found and used even if its position in the target cassette has been changed. 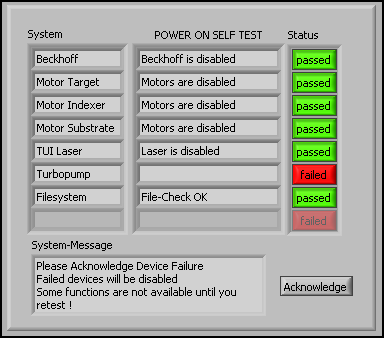 Automatically during each process, or manually while the system is idle, PlumeMaster logs all relevant system data. 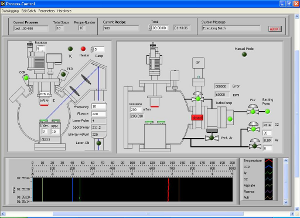 This facilitates troubleshooting end ensures perfect documentation of your experiments.